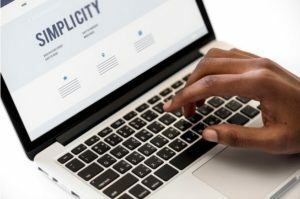 Regardless of what industry you operate in, or the type of website you have (company, ecommerce, blog, or other website type), it’s essential that the copy on your website be written in a clear, attention-grabbing, and persuasive way. This is so because potential customers will visit your website and decide to do business with you or not based on the information presented on your website. The Internet is filled with competing websites of all types. In fact, according to a Netcraft January 2018 Web Server Survey, there are 1,805,260,010 (over 1.8 billion) websites. How can you ensure your website breaks through the noise to attract the attention of not only visitors but the search engines? How can you make sure that your website stands out from competitors? In order to get the attention of visitors, your website’s copy should answer questions your target audience has. A marketing copywriter can ensure each piece of copy conveys one main idea, and matches searches used by your target market. Undoubtedly, this is where the skills of an experienced and skilled copywriter counts. It is widely known that a marketing copywriter should be creative, clever, and must possess excellent writing skills. 1) Know how to perform keyword searches and keyword analysis to write keyword-focused copy for you. Yes, there are specialists who can perform this task for a copywriter; however, it is imperative that your marketing copywriter is able to perform this task before hiring her. Before she puts pen to paper, she should know how to obtain a snapshot of the conversations going on within your target market. She should be able to perform a basic keyword search so that the copy that what she writes for you answers questions your target market wants to know. 2) Have a current knowledge of direct response marketing methods and tool-sets. She must understand current online promotional strategy, know the difference between marketing and advertising, and understand promotional techniques. This enables her to help the message behind your business offerings (products, services, or ideas) connect with your target audience. She also should know how to develop highly-efficient direct response marketing and advertising programs. This will enable her to promote your business and website in ways that gain you visibility online. For instance, such techniques as weaving persuasive concepts from your Main Marketing Platform into each piece of your promotional content–be it for lead generation, email newsletters, social media content, sales pages or other piece to promote you or your business–should be used by your copywriter. 3) Induce customers to take action. Always remember that it’s crucial to have action-driven copy on your website in order to gain and sustain positive and profitable results. 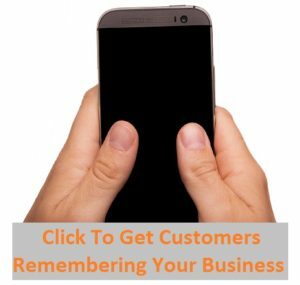 Copy that contains correct calls to action help you gain measurable results. 4) Be target audience-oriented and understand how potential customers write, talk, and act. Your copywriter should speak the language of your target audience in a convincing manner, weaving information that your potential customers need to know to make a decision to do business with you. Handy Copywriting is a copywriting service that provides clear attention-grabbing, and clever copywriting designed to “convert words into sales”. Handy Copywriting creates Marketing Message Platforms for new product launches and provides lead generation and email newsletter copywriting services. Contact Handy Copywriting to request Your 2019 Marketing Assessment Consultation free today. Sales Letter: How Close Are You With Your Reader?